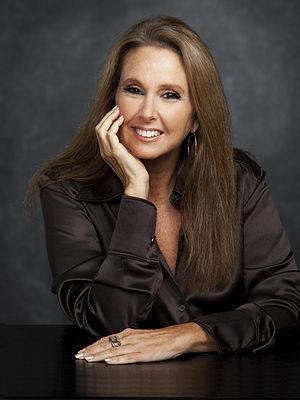 Activate Your Goodness: Transforming the World by Doing Good by Shari Arison is based on the premise of “think good, speak good, do good.” This philosophy is explored at all its levels: individual, family and friends, community, country, humanity, and planet. The idea that thinking, speaking, and doing good is a concept that works personally as well as in business is also discussed. I especially like that she says “doing good is good business”–and as a hugely successful businesswoman, she has the credentials to prove this! In addition to her business success, she has created the annual International Good Deeds Day, as well as the internet Gateway to Doing Good–www.goodnet.org. Simply by reading this book my goodness began to accidentally get activated, as I find myself with the concept running through my head like a mantra. It is easier to catch my thoughts and redirect them because this book specifies my awareness. It is easier to remember in the moment to speak consciously as well, as this book focuses application of the concepts. And, I find myself following through on ideas rather than remaining in the “wouldn’t this be great to do” phase, again because of heightened understanding of the process and choice of activating goodness. That’s a triple threat to insidious negativity within everyday living, woo-hoo! I encourage you to pick up this book! It is a quick read that flows well. One individual activating their goodness could just be the tipping point for all of humanity, and even if you are already on that path this book will help you take it to the next level in a subtle and personal way that greatly affects all. I received this book from Hay House in exchange for my honest opinion of it, for goodness’ sake!